The 2011 NRA National High Power Rifle Championships kicked off Sunday August 7th, with the first series of Team matches including the Whistler Boy High Power Team Match and the NRA 2nd Amendment Team Match. Initial Team results are posted below. 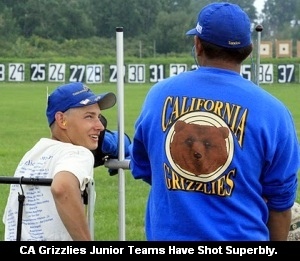 Sunday was a great day for the young CA Grizzlies– junior shooters from California. One Grizzlies squad won the Whistler Boy match, and a second Grizzlies crew placed fourth. Way to go Grizzlies! Following the Team Matches, the individual competition begins. As results are posted throughout the week, we shall see if last year’s overall champion, Sherri Gallagher, can repeat her winning performance from last year. Share the post "Nat’l High Power Championships Commence with Team Matches"
Last month, Vortex Optics sponsored a new kind of rifle competition that tested competitors’ fitness along with their marksmanship skills. 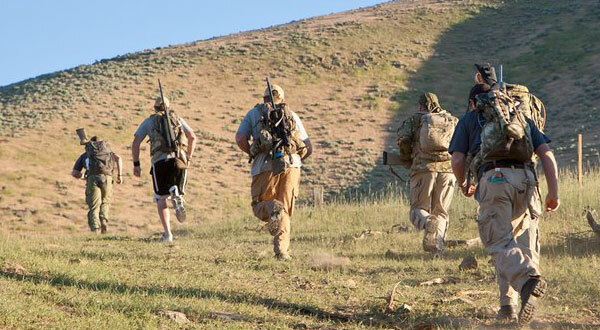 The inaugural Vortex “Extreme Invitational” was held July 16, at the Spirit Ridge Rifle Golf facility near Tremonton, Utah. At most traditional long-range rifle matches, the only hiking required of the shooters is from their vehicles to the firing line, and to the pits if target-pulling duties are required. Vortex has created a new game. At the Extreme Invitational, participants walked, jogged, and sometimes ran over a six-mile course –- all the while knowing a portion of their score was based on how quickly they finished. Strong legs and lungs were a big asset. The event tested long range shooting skills, but it was also was physically challenging (and hot). Competitors at the start of the match. Christensen Arms Team #1 (top left) ran most of the course. At the Extreme Invitational, two-man industry teams vied for honors on a challenging mountain course. Final scores were based on course time and how well each two-man team shot. Shots ranged from 200 to 1200 yards. Each station featured a tough standing, sitting, kneeling or prone shot (no shots from benches). Even highly experienced shooters found the course quite humbling. There were a variety of firearms on the course. 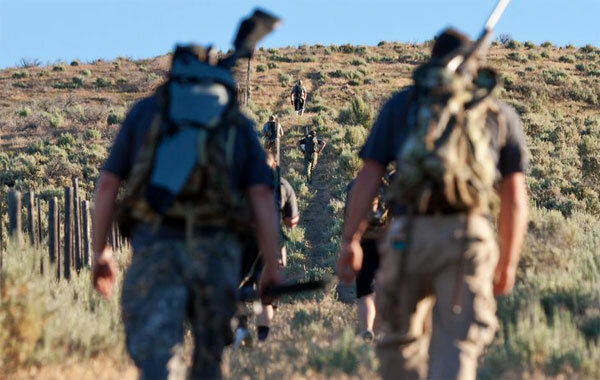 Some participants favored the lightest weight rigs possible, while others toted fairly heavy tactical-style rifles with stout barrel contours. Starting up the “Hog’s Back”. The course was very challenging, given the hot conditions. To view more event photos, CLICK HERE to access the Vortex Facebook Photo Album. Share the post "Industry Hotshots Test their Mettle at Vortex Invitational"